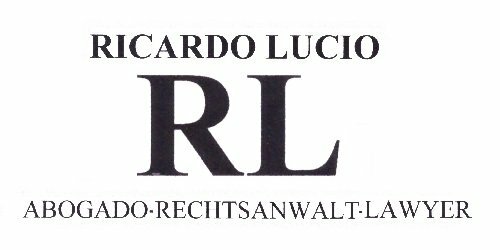 Welcome at your English spoken lawyer Ricardo Lucio. Together with Elisabeth CSENAR, responsible for translation and interpretation, he will do everything to help you obtain your rights, in your language. 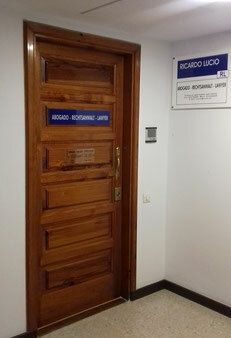 For many years Ricardo Lucio has been at your service as a competent lawyer. As a legal service for our English spoken clients we take care of the Spanish Law, assist them in their transactions, and act in their interests in court. Regardless in which of the many different types of law you need our legal advice and expertise, be it Criminal Law, Civil Law, Family Law, Commercial Law, Consumer Law or any other legal problem you need to solve – you can count on us. As English spoken lawyer on Gran Canary Island not only do we represent you at court but also in any kind of business transaction such as selling/buying a property or other objects, inheritance, formation of a company and a lot more. We help you drafting any document you need, be it contracts, powers of attorney, last wills and many more papers, and naturally offer our help with the correct translation from and to English of your documents, certificates, and any other papers. Maybe one question or another is already answered in our Blog, which we update frequently with interesting news and articles about legal matters in English. Visit our BLOG, where we regularly publish articles on interesting topics such as selling/buying a property, rentals, inheritance and the like. No case is too small, no request too insignificant. We help you fast, competent, and for a reasonable price. Don't hesitate to contact us in case you need an English spoken lawyer. We treat your inquiries confidently and quickly. We are looking forward to your inquiries. Please use our E-Mail or call us. And after arrangement by phone.